MSM To Pro-Vaxxers: Don’t Argue The Facts, Show Scary Pictures! An ‘Activist Post’ article that deals with the human parameters, the attempts made to change the opinions of others, and the problems of people not understanding what they are being told. In other words “spin”, “cognitive dissonance” and perception. Firstly, there are facts which most people can accept as such, then there is propaganda masquerading as fact, pushed by the MSM (Mainstream media), powered by the hugely powerful, “resourcefull” and generous pharmaceutical industry. [deliberate misspelling of ‘resourcefull’ to highlight the ‘fullness’ of the actual resouces]. When the propaganda is recognized for what it is, extreme efforts are apparently in order. A pertinent extract: “Kloger does make an important point though. Most “anti-vaxxers” are unconvinced when confronted with the typical pro-vaccine argument. But that is not because they are necessarily rigid of belief, it is mostly because the typical pro-vaccine argument tends to be baseless propaganda, rooted in rhetoric instead of science.” [My bold emphasis]. Note his – “why the rumors about a vaccine-autism link are wrong“. This is a great example showing their own errors and twisted logic, and why the so-called “antivaxxers” refuse to respond. In fact, his so-called “rumours” are actually scientific evidence to which he and the industry have shut their minds. Why should we not think we are right, when we are actually right? A good place to reiterate the other misleading mistake ‘they’ make, is the inaccurate and derogatory “anti-vaxxer”. Very few of the criticizers seriously oppose all vaccinations, all the time. Only a large number of aspects are considered as dangerous and unnecessary. Some, if not many, of the criticizers are medical professionals, doctors and nurses. Does that not say something important? By Brandon TurbevilleThe Vaccine industry, Big Pharma, and the mainstream media have some advice for vaccine zealots attempting to bully parents questioning the safety or effectiveness of vaccines into changing their minds – Don’t argue the facts! Show scary pictures! 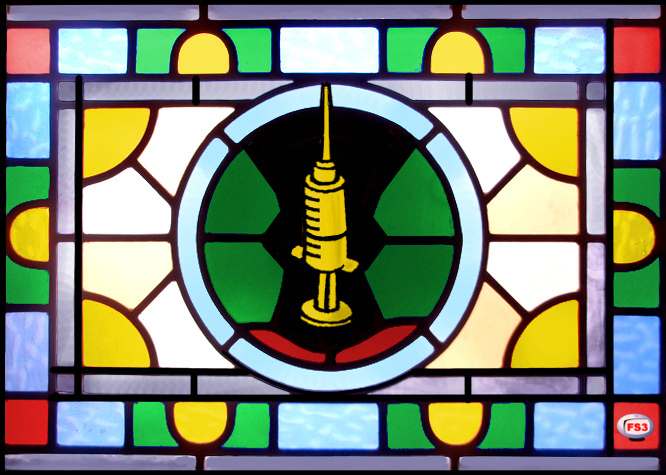 In what can only be described as an instruction manual as to how to shame, bully, and shout a person down who simply has a different take on the best and safest way to raise their children, it is clear that the religion of vaccines and “scientism” now has the hallmark of any faith determined to spread itself – the presence of evangelicals. The new vaccine evangelical movement is being provided with a script sheet of what to say and what to avoid when attempting to convert others to their belief system. Like most religions, the goal among the leaders and the zealots is a world where differing modes of thought no longer exist and where other opinions no longer force them to question the way they view that world. Articles like “How To Change An Anti-Vaxxer’s Mind” by Jeffrey Kloger of TIME, are a perfect example of the recent propaganda blitz coming from the mainstream media. Kloger’s article is being quickly copied and rewritten in mainstream media outlets all across the country with the real vitriol being found in the more trendy hipster markets. The recent propaganda push is being based upon a study by researchers at the University of Illinois Urbana-Champaign and published in the Proceedings of the National Academy of Sciences. It’s not certain exactly how much time and effort was put into the study to discover what most undergraduate marketing students and any remotely successful politician, salesman, or sociopath already knows – that scary pictures are more effective at convincing hordes of people of an idea (true or false) than facts, reasoning, or logic. That’s a very noble goal, but it’s also one of the things that makes it so bloody hard to change their minds on the topic of vaccines. Public service campaigns don’t work; nor do one-on-one explanations of why the rumors about a vaccine-autism link are wrong. In some cases, there is even a backfire effect: the greater the effort expended to persuade the anti-vaxxers, the more convinced they become that they’re right. So it’s extremely good news that researchers at the University of Illinois Urbana-Champaign may at last have come up with a way to cut through the misinformation and get the truth across: Don’t just tell parents to vaccinate their children, show them what happens if they don’t. In other words: Don’t argue with them! Just show scary pictures! The hope is to catch someone unaware, in a weakened state, or someone who is unfortunately not as well-versed on the subject. Of course, if you can’t convince someone by providing facts, logic, and reasoning there is always the chance that the person is irrational. But there is also the very real chance that they are quite lucid and that you, in fact, armed with all your talking points, media-induced outrage, and perceived intellectual superiority, are simply wrong. Kloger does make an important point though. Most “anti-vaxxers” are unconvinced when confronted with the typical pro-vaccine argument. But that is not because they are necessarily rigid of belief, it is mostly because the typical pro-vaccine argument tends to be baseless propaganda, rooted in rhetoric instead of science. 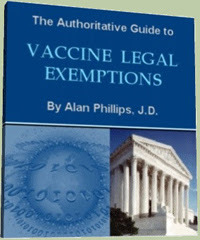 As for the social aspect, if “anti-vaxxers” didn’t abandon their beliefs when the first few waves of obnoxious Big-Pharma propaganda came blasting through the airwaves, they are generally not impressed when their friends, family, or even complete strangers take it upon themselves to give them a regurgitation of the talking points they heard about vaccines on NPR, CNN, or read in TIME magazine. After all, social shaming and bullying – if one’s opinions are strong enough – tend to produce the opposite of the desired effect. This idea of showing scary pictures, however, is not just a rudimentarily effective propaganda method, it can also be quite dangerous, particularly when the scary pictures are being broadcast over every outlet in the mainstream media. Take the spate of articles posted in the New York Times, for example. Propaganda narratives like “My Patient Doesn’t ‘Do’ Vaccines,” “The Dangers Of Vaccine Denial,” “A Discredited Vaccine Study’s Continuing Impact On Public Health,” are all aimed at painting the science surrounding the numerous demonstrations of vaccine dangers as pseudo-science and parents who question the safety of vaccines as delusional, obsessive, Luddites. They are designed to produce a false consensus within society that vaccines are safe and effective. Basically, they are designed to create a self-fulfilling prophecy – if enough people read the propaganda and believe it, particularly if they think the majority of others believe it, the victim population will come to believe the propaganda. Now, apparently, the New York Times and its ilk will be sharing scary pictures to go along with their tripe. Of course, we all know what happened the last time the New York Times posted scary pictures and emotional words. Maybe one day we will finally leave Iraq…. Brandon Turbeville is an author out of Florence, South Carolina. He has a Bachelor’s Degree from Francis Marion University and is the author of six books, Codex Alimentarius — The End of Health Freedom, 7 Real Conspiracies, Five Sense Solutions and Dispatches From a Dissident, volume 1 and volume 2, and The Road to Damascus: The Anglo-American Assault on Syria. Turbeville has published over 500 articles dealing on a wide variety of subjects including health, economics, government corruption, and civil liberties. Brandon Turbeville’s podcast Truth on The Tracks can be found every Monday night 9 pm EST at UCYTV. He is available for radio and TV interviews. Please contact activistpost (at) gmail.com. This entry was posted in drugs & medication, HEALTH, Vaccinations, vaccines, World Issues and tagged Ethics, HEALTH, Pharmaceutical industry, Propaganda, Public health, Spin, Vaccination. Bookmark the permalink. 1 Response to MSM To Pro-Vaxxers: Don’t Argue The Facts, Show Scary Pictures!